It is hard for us to imagine the degree to which the Eucharist for the early Christians was woven into the fabric of life. When they write about the Eucharist the central beliefs of Christianity come to life. For them, the Eucharist confirmed that the visible world is good and that our humanity and our personal stories are welcomed into God’s eternity. Moreover, from the very beginning, the Eucharist had a social dimension and inspired many initiatives aimed at helping the poor. This web of connections which the early Christians made between faith and life often puzzled their contemporaries. 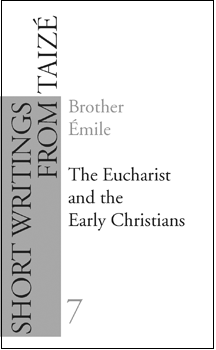 Exploring the ways in which the first Christians approached the Eucharist can both enlighten and enliven our faith. Like them, we are called, to understand that to receive the Body of Christ is to become what we receive.